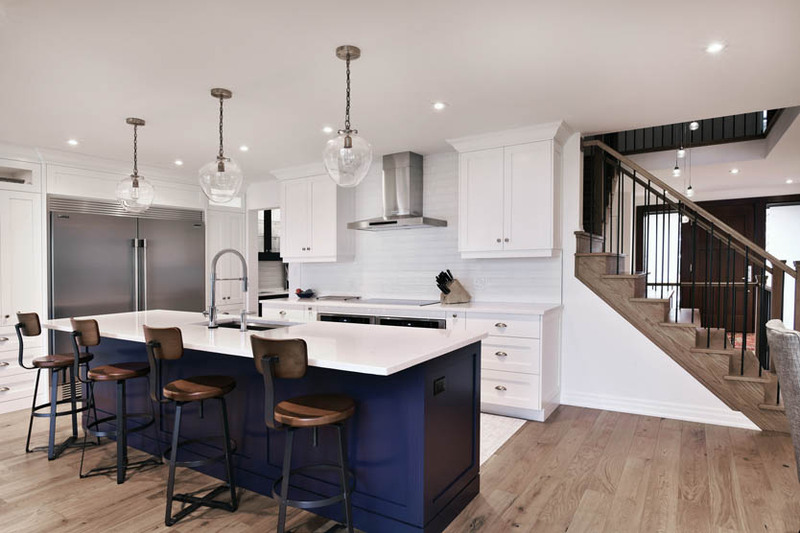 With stunning views overlooking the Royal Canadian Henley Rowing Course on Martindale Pond, the new owners of this two-storey house didn’t let shoddy original construction and a dated floor-plan cloud their vision for their home. 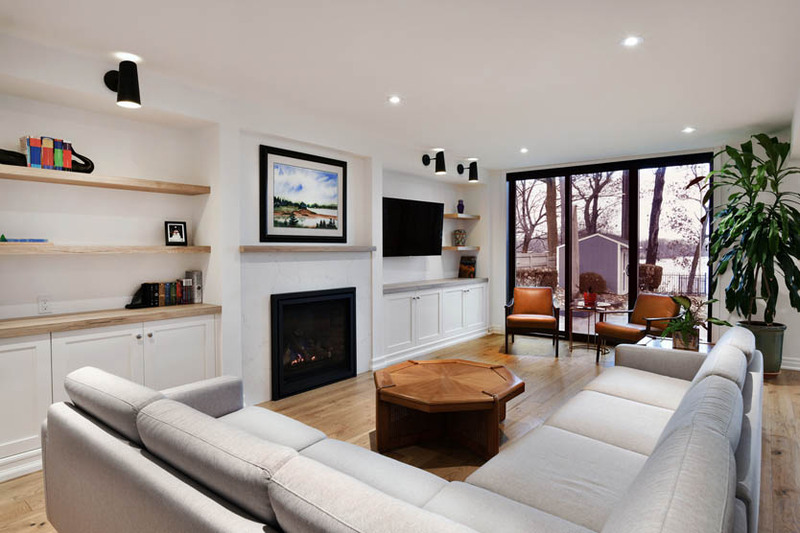 Custom built-in cabinetry flanks the gas fireplace in this light-filled great room created by the removal of several walls on the main floor. Floor-to-ceiling patio doors span the back of the house providing stunning views to the home’s rear yard and picturesque Martindale Pond. A covered patio off the kitchen flows seamlessly into the home’s living space. 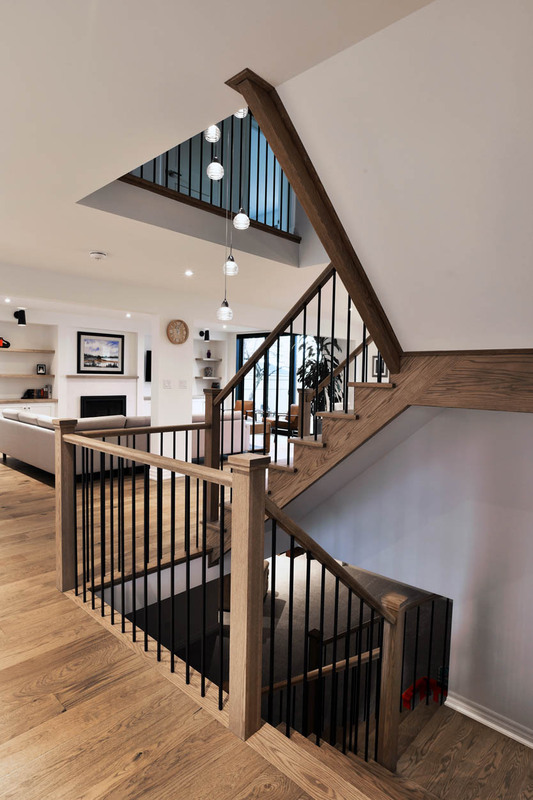 Beautiful, open custom staircases connect the homes upper floor, main floor, and lower level. 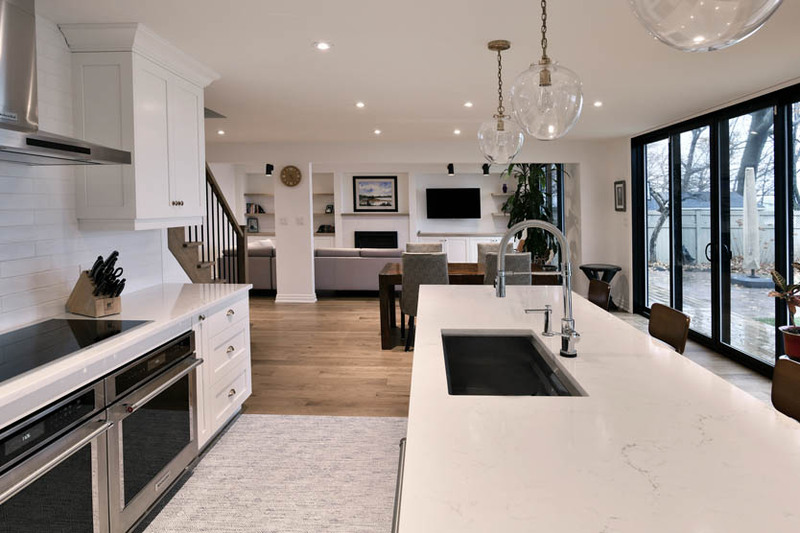 A large island is featured in the home’s kitchen making a perfect spot for guests to gather. A butler’s pantry and a traditional dining room are located behind the kitchen. Removal of several walls allowed smaller rooms on the main floor to be merged into a large, bright great room. The spacious master suite enjoys the same floor to ceiling views of Martindale Pond. 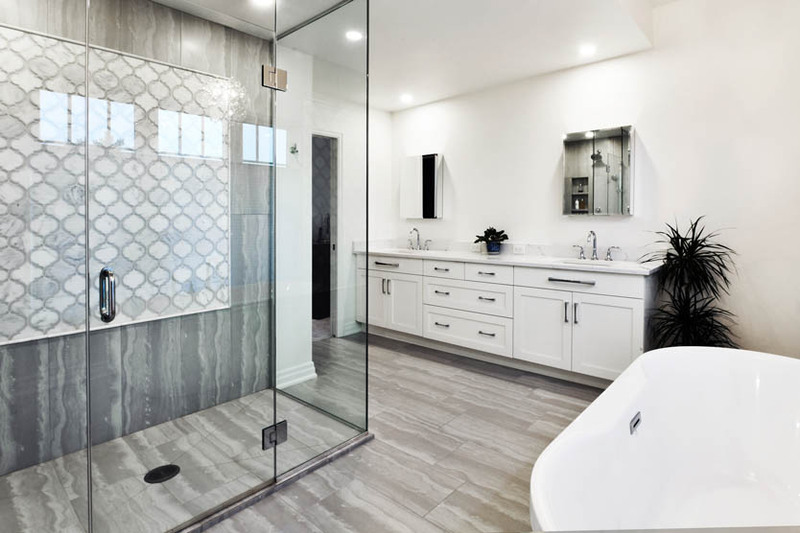 The master bedroom’s generous ensuite bathroom features expansive walk in shower, traditional soaker tub and dual vanities.